This was another early project for us and The client wanted to be able to illuminate a moat style pond alongside the rear patio area. Ideally they wanted multi colour and simple controls. 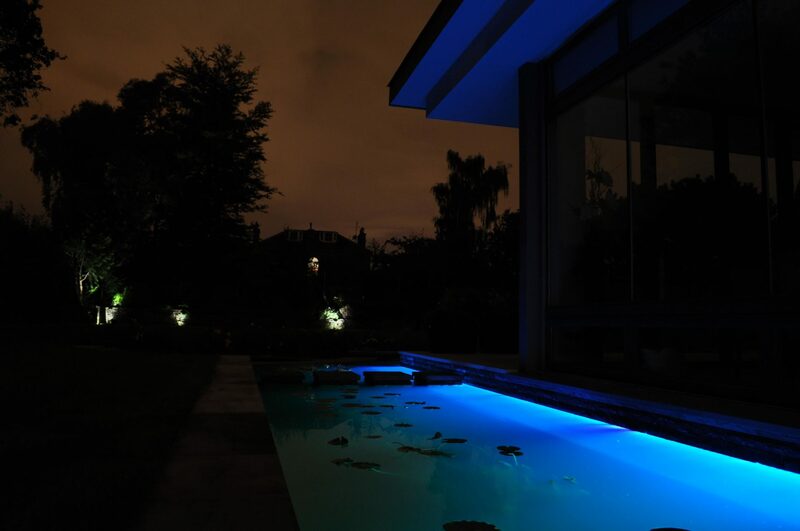 Brief: To supply made to measure LED linear lights that can be fixed underwater in the moat and ponds. 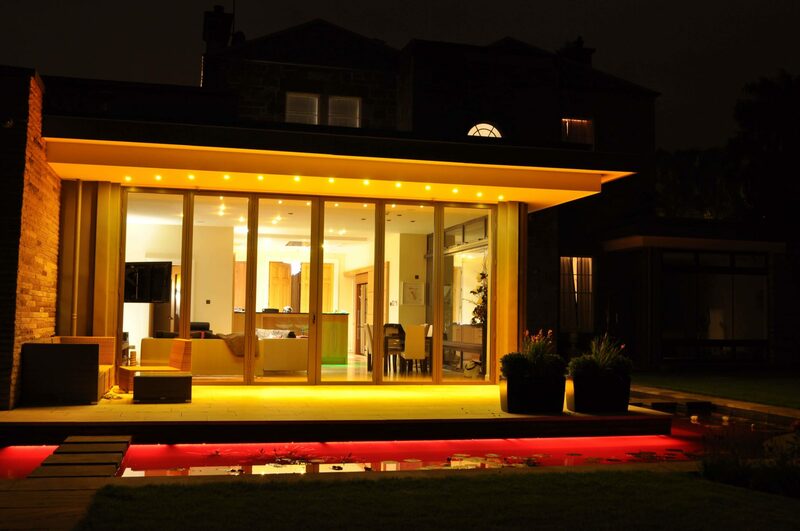 All the liners were to be RGB and controlled from a wall controller in the house. Our Solution: We supplied RGB linears set into profiles and sealed for underwater use. Where required they were linked together and long cable feeds were supplied for easy and safe installation. The wall controller was our old style stainless steel rotary controller which looked stylish and gave the ease of use they requested.